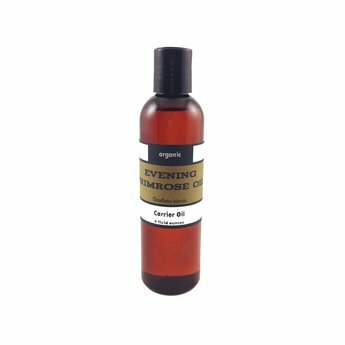 Evening primrose oil is a medium weight, yellowish oils that absorbs well but can leave a slightly oily feel to the skin. It is one of the very best oils for acne prone skin. Evening primrose has one of the highest linoleic/oleic acid ratios which make it particularly suitable for people with acne prone skin. It closely resembles your skin’s natural oil (sebum), and so it helps ‘wash out’ old oil from skin pores. This is particularly important for acne-prone skin where overproduction of sebum commonly clogs pores. This powerful oil should be considered by anyone with acne prone skin. It is commonly used in conjunction with other high-linoleic oils. Evening primrose is a common wildflower throughout North America. It gets its name because the delicate flowers only open in the evening. Evening primrose oil has a relatively short shelf life, but users can expect a shelf life of 1 year with proper storage conditions (cool, out of direct sunlight). Refrigeration after opening is recommended.